Pour that Christmas-y Peppermint Mocha down the drain -- the holidays are basically over. The week between Christmas and New Year’s Day marks a substantial shift in the seasonal vibe, which of course means it’s time to update your Starbucks order. Enter, the return of the coffee giant’s limited-edition Black and White Mocha Collection. These drinks are all gussied up for the New Year. The trifecta of Black and White Mocha bevs look like your regular old mocha, hot cocoa, and Frappuccino came to life via some sort of holiday magic and up and decided to attend a glamorous black tie soiree to ring in 2019. But be sure to order one before the spell is broken (and your healthy resolutions kick in) because the they’re only available from December 26 through the new year, while supplies last. You may remember these offerings from last year, but here’s a refresher. The Black and White Mocha contains a traditional mocha’s espresso, steamed milk, and whipped cream. In this rendition though, the dark mocha syrup is complemented by a swirl of velvety white chocolate. Bonus points for instagrammable presentation -- a stripe of chocolate “sequins” top the whipped cream, looking like a black tie. 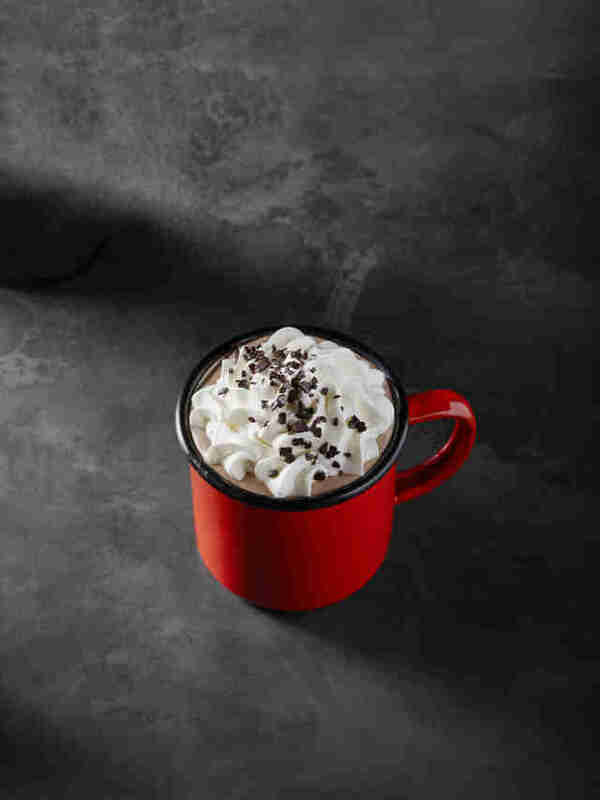 Order the Black and White Hot Cocoa for a coffee-and-caffeine-free version. Dark mocha and white chocolate sauce blend into steamed milk, capped with a whirl of whipped cream sprinkled with shaved chocolate as well. 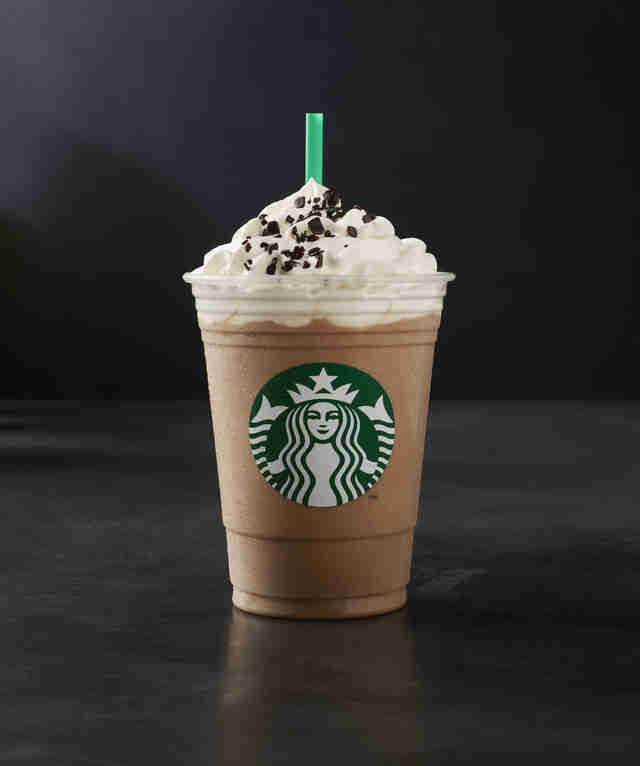 The grandest of the three, the Black and White Frappuccino combines Frappuccino roast coffee melted into a mélange of dark and white chocolate mocha sauce, milk, and ice. 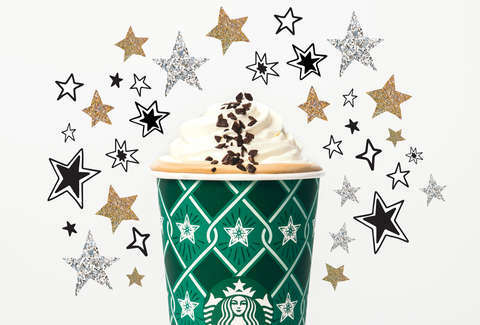 Like the others, the drink is crowned with whipped cream and signature chocolate “sequin” shavings. Like with previous years, the lineup of Black and White mocha drinks won’t be around for long, so maybe all those Starbucks gift cards you received from distant relatives weren’t such ‘meh’ gifts after all. Alex Erdekian is an editorial assistant at Thrillist, and admittedly has had a hard time kicking a Peppermint Mocha habit in the past.